The Deployment Specialist works within the Marketing Cloud services team to provide support to customers in the deployment of their email campaigns and related landing pages. This role executes the process of email campaign deployment and is focused on subscriber segmentation, executing test sends, preparing the final subscriber list and scheduling the deployment in the Marketing Cloud application. In addition, the Deployment Specialist will prepare customer assets for handoff to other team members and document customer specific processes and work instructions. 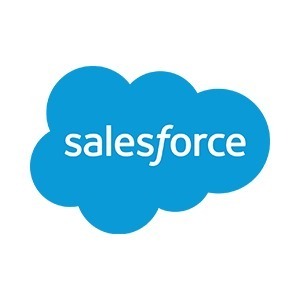 • Collaborate with members of the Marketing Cloud Campaign Solutions team to manage, create and deploy campaigns on behalf of Marketing Cloud clients by executing tasks related to audience segmentation, email scheduling and email sending. • Manage subscriber data, import and segmentation using a combination of Marketing Cloud tools and database queries. • Conduct quality assurance reviews and other activities to ensure the accuracy and timeliness of email deployments. • Monitor the campaign post－deployment to validate completion. • Develop robust campaign documentation, including customer specific work instructions. Our platform empowers companies to connect with their customers in a whole new way. The company was founded on three disruptive ideas: a new technology model in cloud computing, a pay－as－you－go business model, and a new integrated corporate philanthropy model. These founding principles have taken our company to great heights, including being named one of Forbes’s “World’s Most Innovative Company” five years in a row and one of Fortune’s “100 Best Companies to Work For” eight years in a row. We are the fastest growing of the top 10 enterprise software companies, and this level of growth equals incredible opportunities to grow a career. Together, with our whole Ohana （Hawaiian for ”family”） made up of our employees, customers, partners and communities, we are working to improve the state of the world. • BA/BS in Computer Science, Computer Information Technology, Management Information Systems, Communications or related field; or equivalent experience with demonstrated proficiency. • Experience with the retrieval and uploading of data files to/from multiple systems and environments. • Ability to work effectively within a team in a fast paced, entrepreneurial environment. • Ability to organize and prioritize multiple projects and customer deadlines with minimal oversight. • Strong written and verbal communication and problem solving skills with an impeccable eye for detail. • Experience working in a client－facing role. • Knowledge of email marketing best practices, Marketing Cloud or related email software and related technologies （ie. HTML, CSS） a plus.